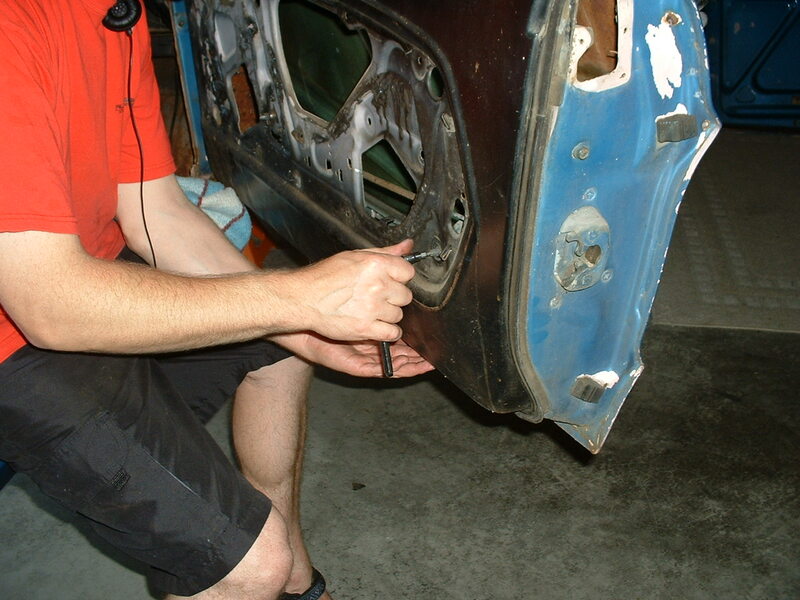 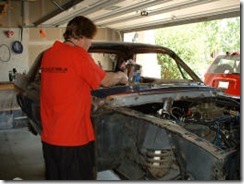 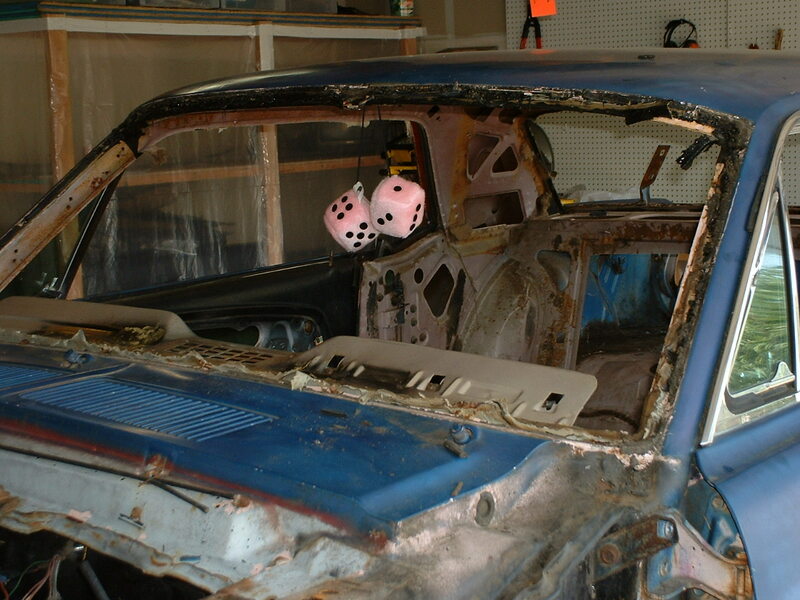 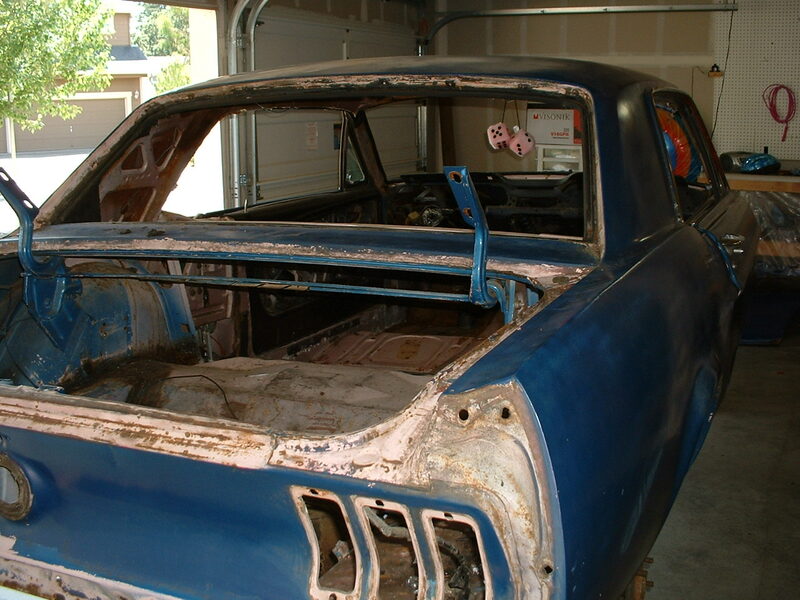 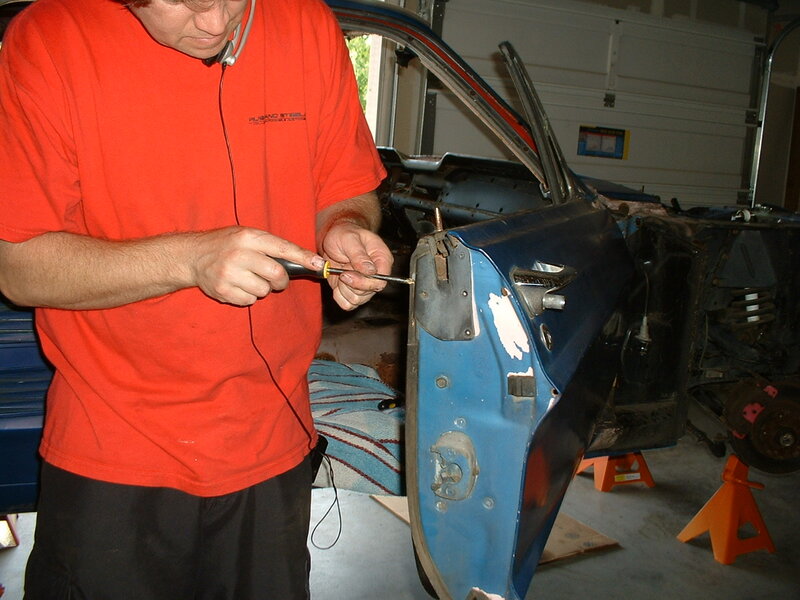 The disassembly strategy continues with removing the Mustang glass from this 1967 Ford Mustang. 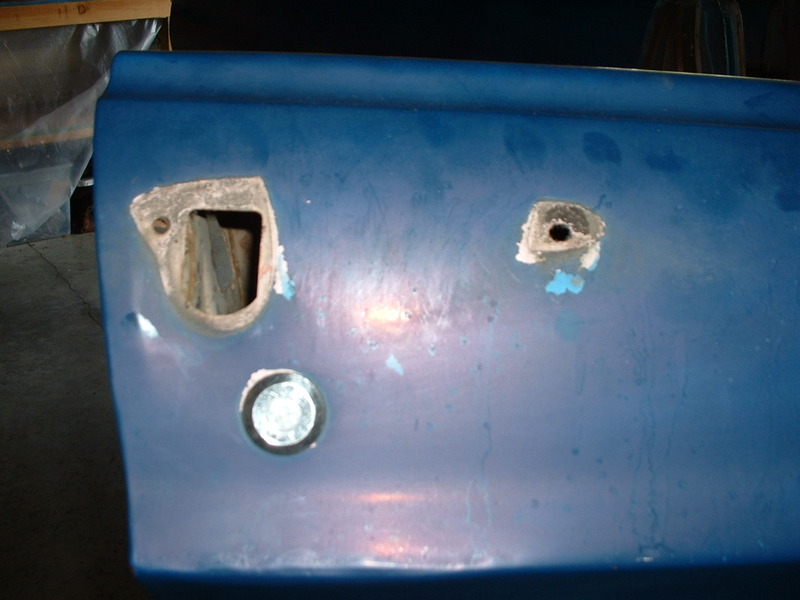 I could have removed the door glass from the Mustang when I was tearing down the interior but I wanted to make removing the glass a separate task so I could group the mechanical door parts together. 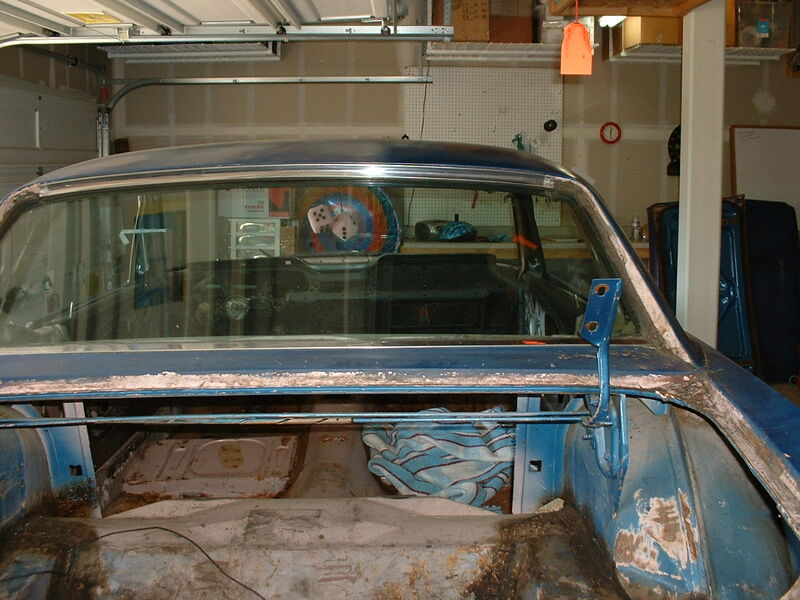 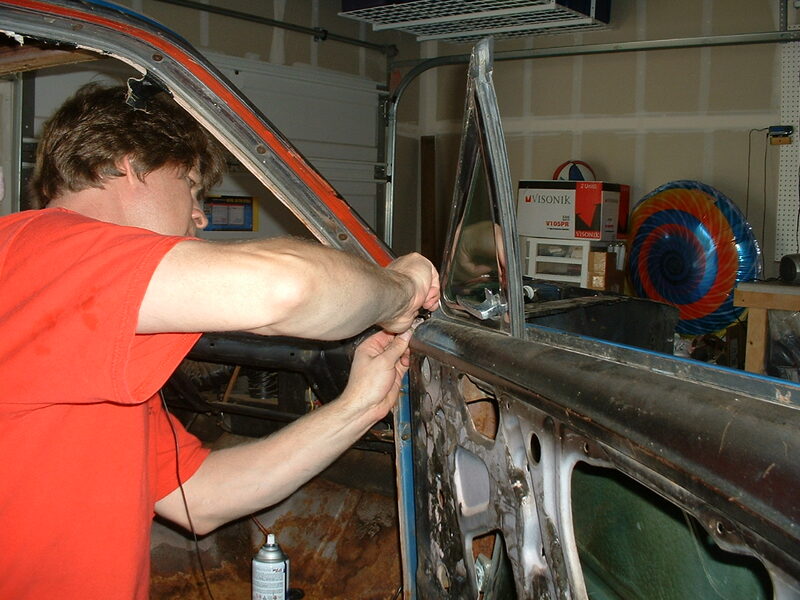 I started by removing the window moldings from the windshield and rear window. 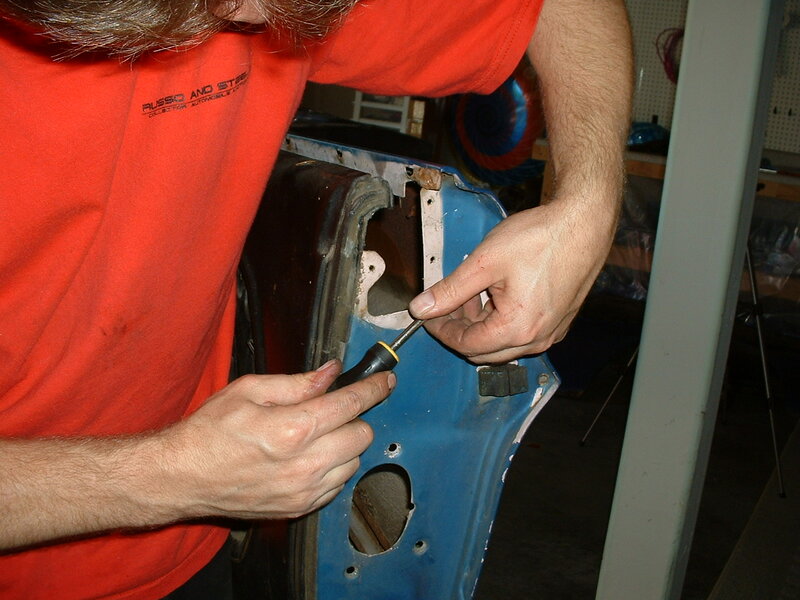 The molding is secured to the body by a molding retailer clip, and require a molding remover to release the molding from the clip. 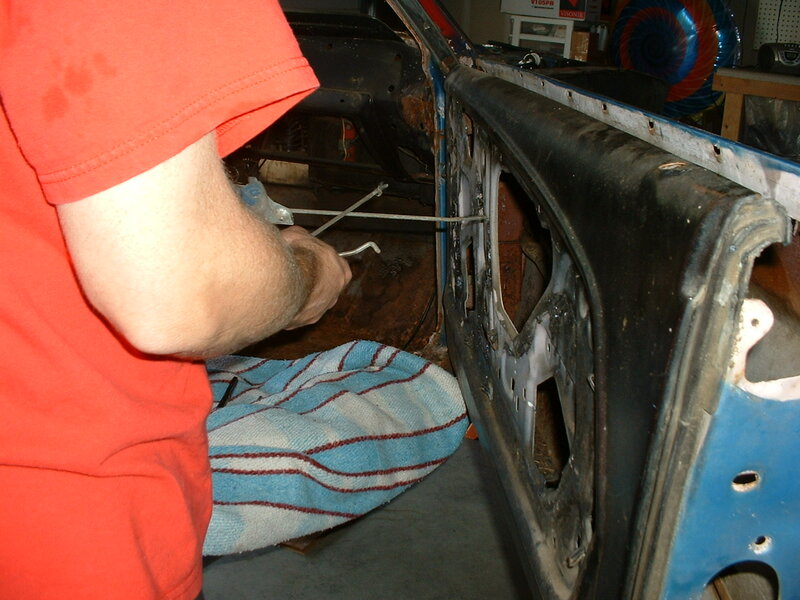 Once the molding has been removed can cut away the window gasket so the glass can be removed. 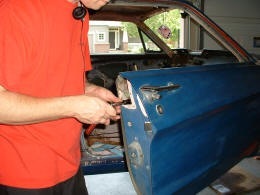 I utility knife works well to cut off the outer part of the seal. 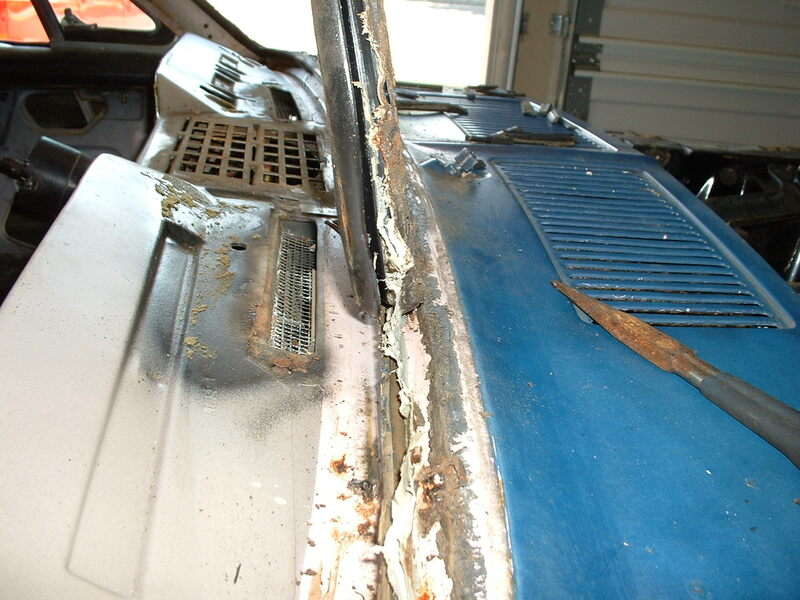 Remove the window seal and clean up the opening. 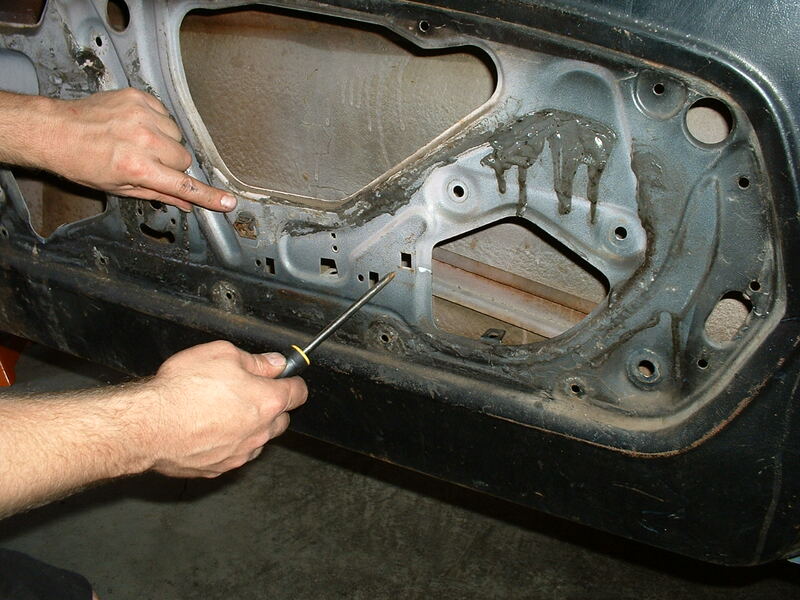 Sometimes this can be a messy task so be prepared to get sticky fingers. 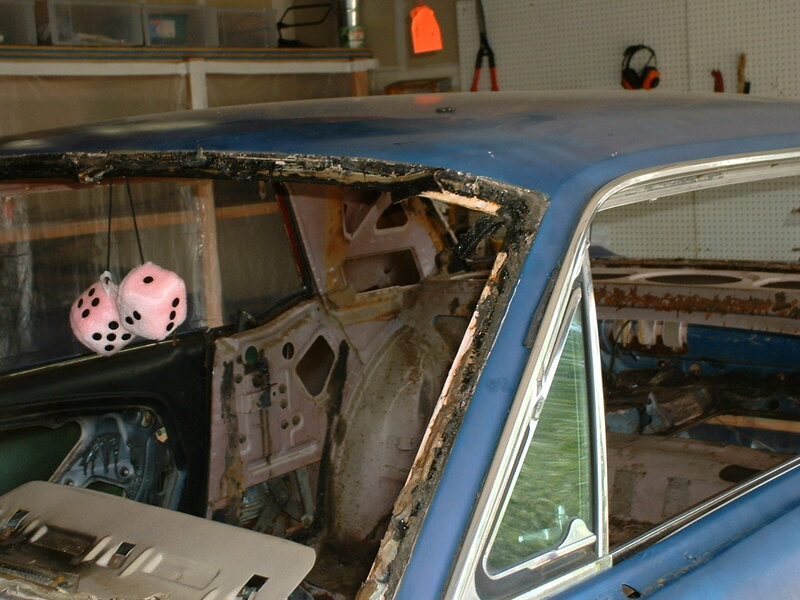 Before you can remove the window glass you need to remove the vent window and you should also remove the window regulator. 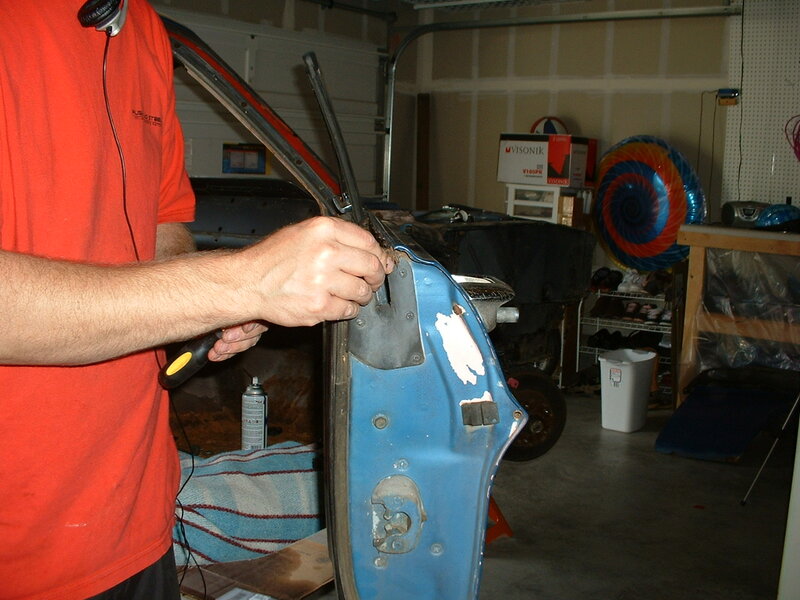 See “How To Replace a Classic Mustang Window Regulator” for additional information. 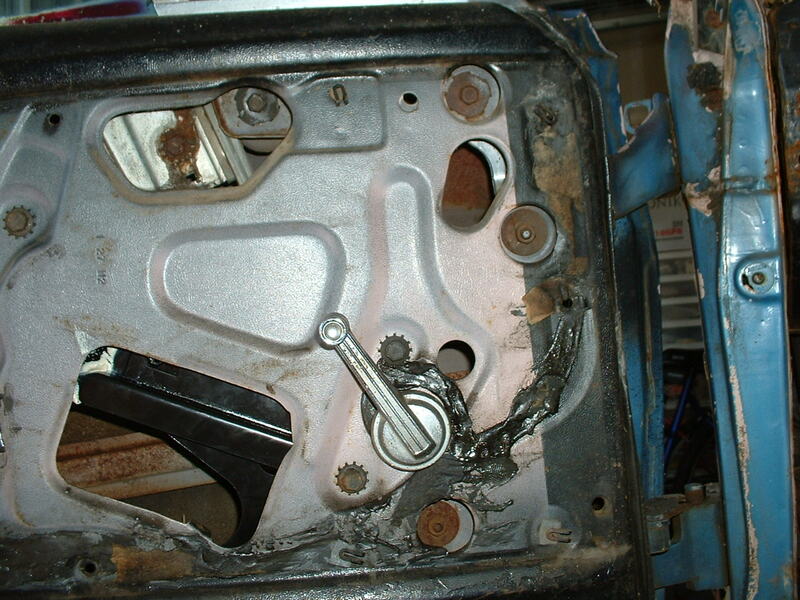 Remove the window regulator and then remove the window channel strips (the felt and rubber strips at the top of the door), I used a flat screw drive to remove them. Remove the set nuts from the vent window adjuster bolts and then turn the adjuster until it is all the way out of the vent window frame. 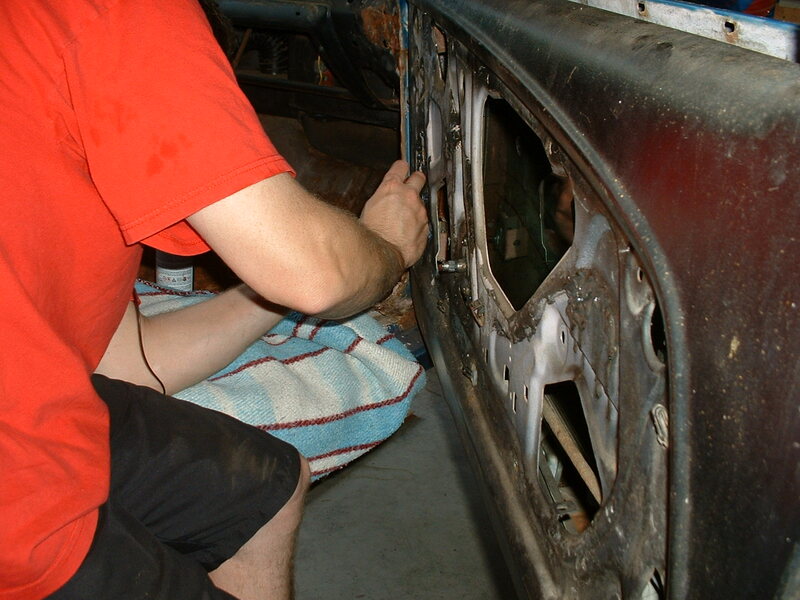 Remove the two vent window frame bolts and pull the vent window out. 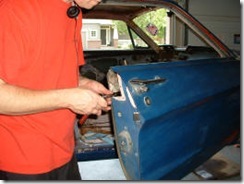 To remove the door glass I removed the door to window seal and removed the bolt that holds the rear window track in place. The rear window track also has an adjuster screw on it that need to be turned to remove it from the track. 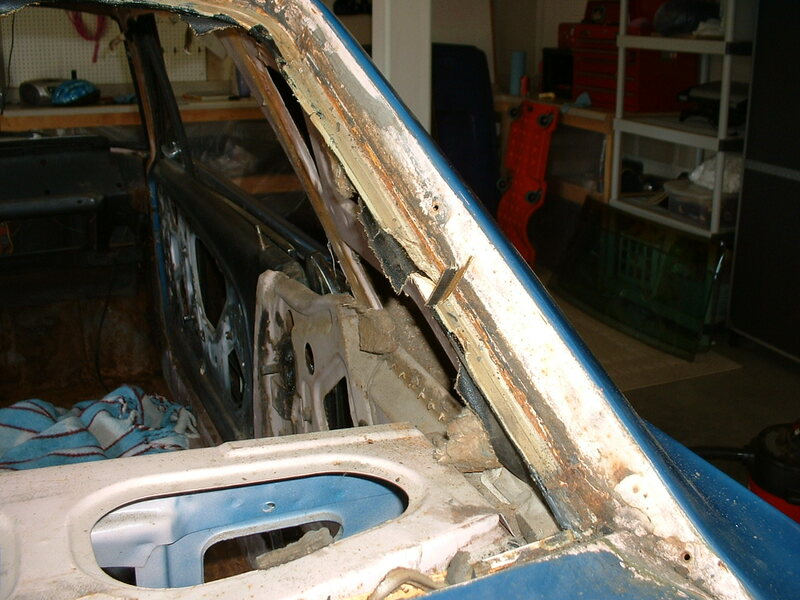 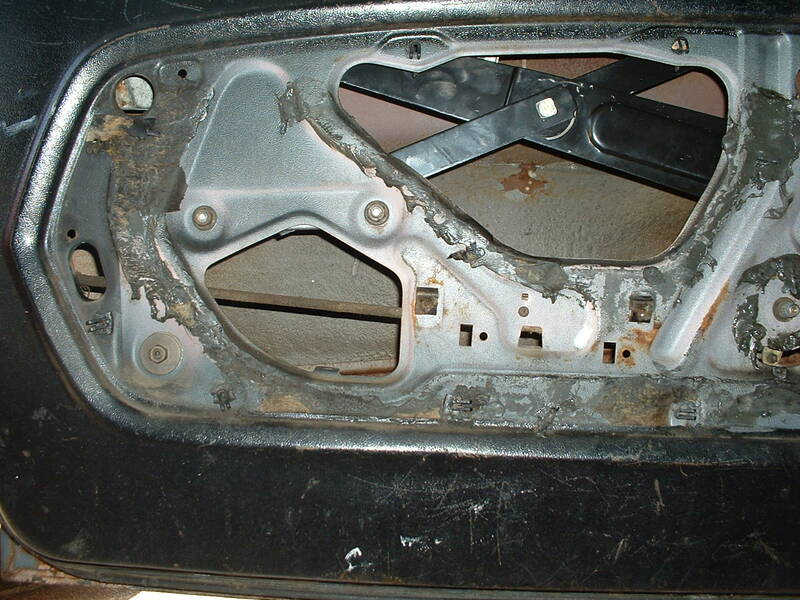 With all of the other parts removed or unbolted the window can no be lifted out of the door. 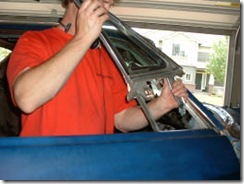 This requires a couple of maneuvers so you can slide the rear track off of the window while you lift the window out. 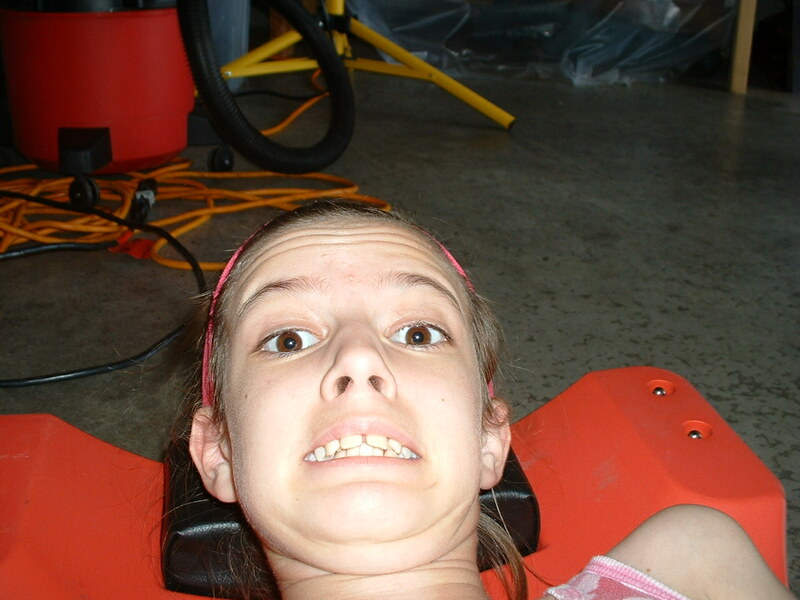 I don’t have a website. 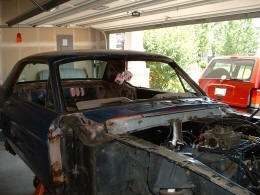 I have a 67 in progress. 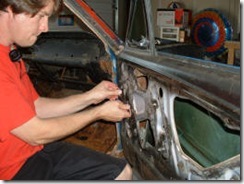 Your site is very informative and helpful. 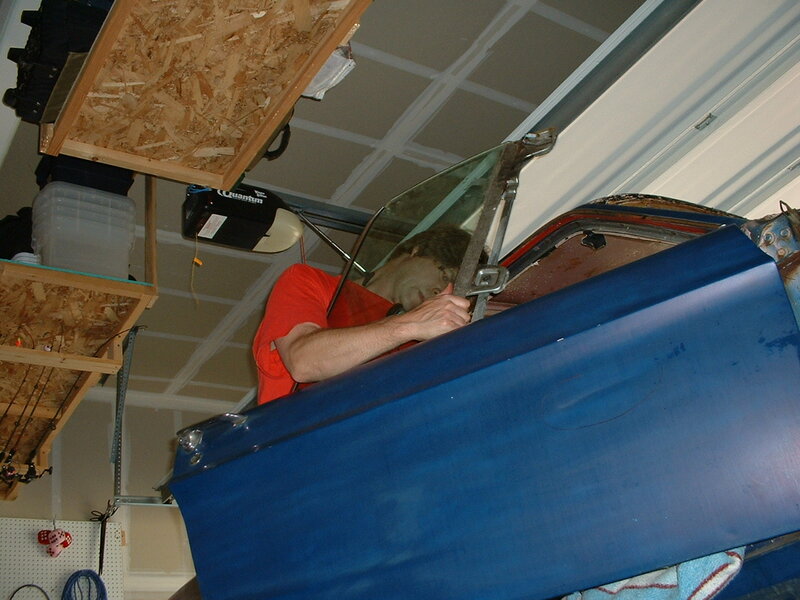 charlesmoore@motorola.com [Delete Comment] I have a 67 in progress. 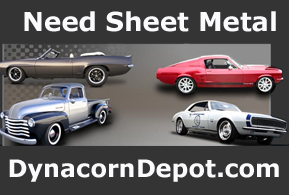 Thank you for the great info! 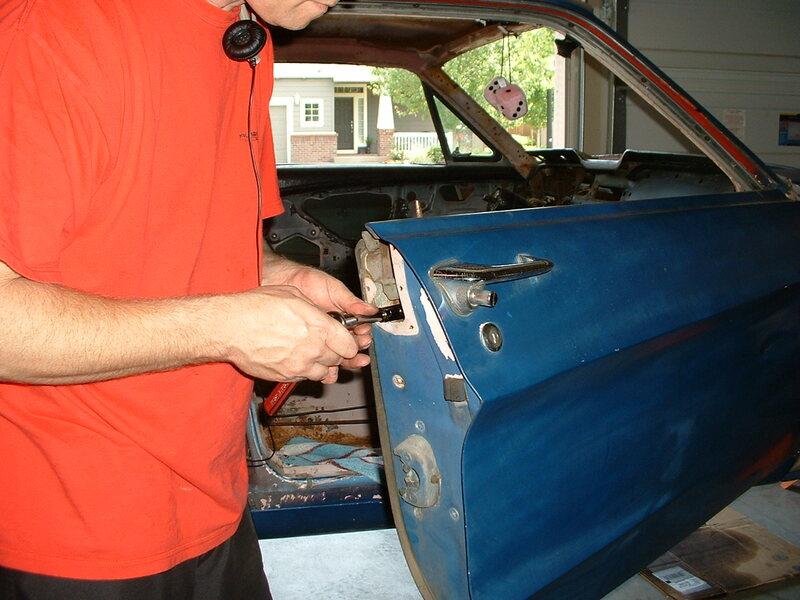 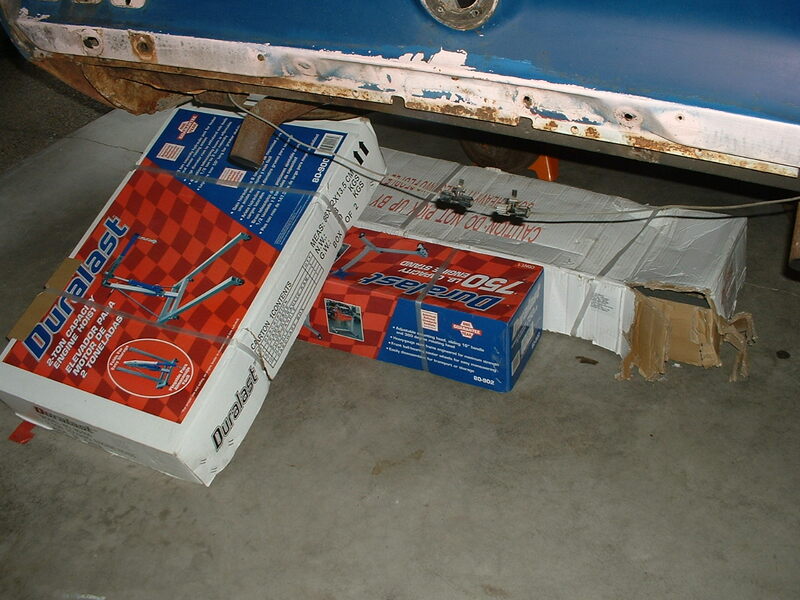 jlang@pendercoward.com [Delete Comment] i have a 73 mach 1 and a 63 1/2 galaxie i need a little help replacing a door glass on the galaxie.i didn’t want to take apart more than i need to. 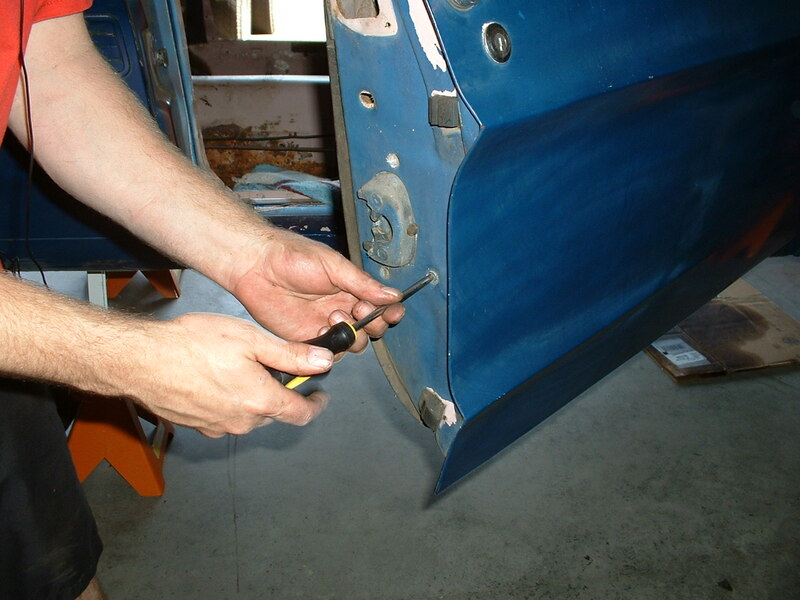 hello from France, thank you for your explanation, I’m replacing all the seals of my 1967 mercury cougar is the same principle.